What’s Better: CoolSculpting or Liposuction? We compare CoolSculpting & Liposuction to help you decide which permanent fat loss procedure is best for you. https://birminghammedspa.com/wp-content/uploads/2019/02/body-sculpting-2s.png 150 300 admin https://birminghammedspa.com/wp-content/uploads/2017/11/l-med-spa-2.png admin2019-02-15 19:31:212019-02-15 19:33:45What’s Better: CoolSculpting or Liposuction? 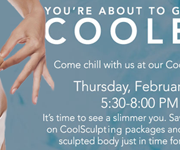 Join Us for a Free CoolEvent & See a Slimmer You! Join us to learn about the latest, non-surgical fat loss treatment. 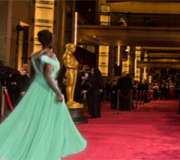 Win prizes & get exclusive savings on CoolSculpting! Thurs., Feb. 28, 2019. 5:30 to 8:00 pm. RSVP Required. 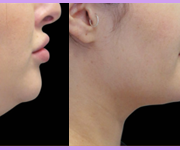 https://birminghammedspa.com/wp-content/uploads/2019/02/coolsculpting-event-2019s.png 150 300 admin https://birminghammedspa.com/wp-content/uploads/2017/11/l-med-spa-2.png admin2019-02-12 06:34:352019-02-12 06:47:08Join Us for a Free CoolEvent & See a Slimmer You! What Parts of the Body Can Get Coolsculpting? https://birminghammedspa.com/wp-content/uploads/2018/09/coolsculpting_oakland_count.png 150 300 admin https://birminghammedspa.com/wp-content/uploads/2017/11/l-med-spa-2.png admin2018-09-22 04:29:072018-09-24 05:35:38What Parts of the Body Can Get Coolsculpting? Coolsculpting vs. Liposuction: What’s Better? https://birminghammedspa.com/wp-content/uploads/2018/09/coolsculpting-southfield.png 150 300 admin https://birminghammedspa.com/wp-content/uploads/2017/11/l-med-spa-2.png admin2018-09-22 04:29:052019-02-28 23:10:11Coolsculpting vs. Liposuction: What's Better? Take our quiz to see if CoolSculpting is right for you – and lose inches permanently with non-surgical, non-invasive CoolSculpting. https://birminghammedspa.com/wp-content/uploads/2018/09/coolsculpting-birmingham_mi.png 150 300 admin https://birminghammedspa.com/wp-content/uploads/2017/11/l-med-spa-2.png admin2018-09-13 04:31:472018-09-14 02:50:24Who Can Get CoolSculpting? 353 S. Old Woodward Ave.